My mother and sister came up and helped me make some drapes for my bedroom. 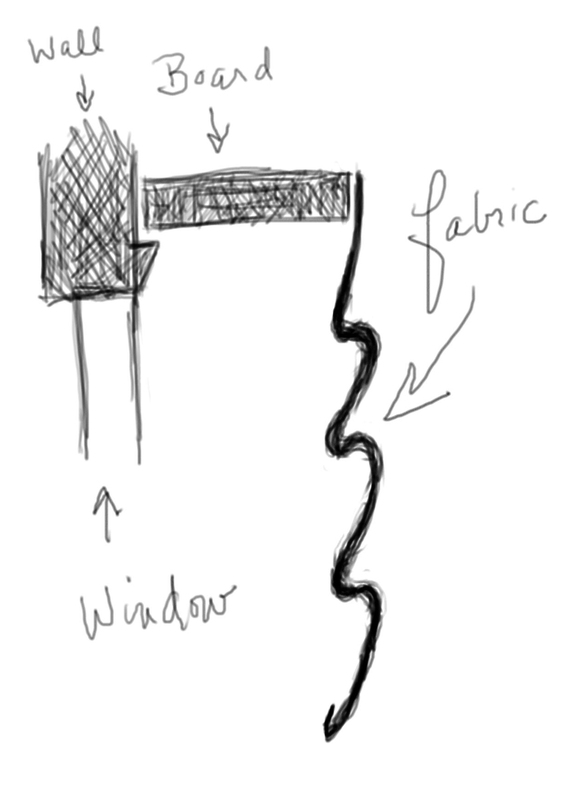 Consequently, I’ve spent the past week or so thinking about the geometry of swags, that pit of cloth with drooping folds that conceals the hardware of the curtains. Since light keeps me awake, and my neighbors can see in my window, I wanted to put up fairly elaborate drapes for entirely practical reasons. The aesthetic side of me required that it all be topped off by a valence. 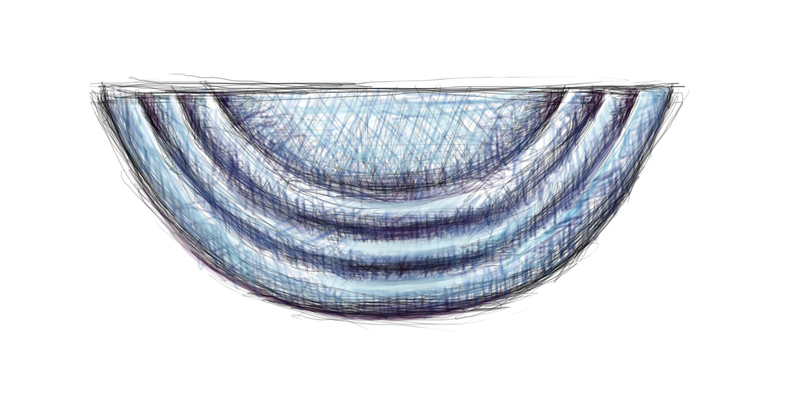 When I get my stuff together I might put together a how-to for drapes, curtains and the valence, which was my own design. Now, the shape of a swag is like that of a chain, wire or rope hung from two points. 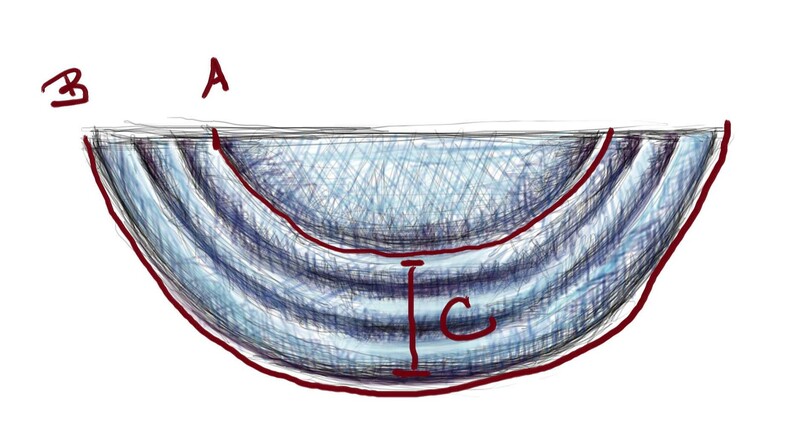 In other words, the curve of the draping of a swag is a catenary (or an approximation of one), which, in my opinion, is one of the world’s most beautiful shapes. So, the bottom line of a swag, when the cloth is unfolded and laid out, is the length of the catenary most closely resembling the desired swag. It it tempting to want to use math to figure out that length. Certainly this is doable, but to be honest, it is far easier to simply hang a tape measure or some rope and measure the length. If anyone has done this mathematically, I would love to hear about it. Okay, so now we know that we need a piece of fabric whose bottom width is equal to the width measured by the rope. There are two type of swags, open swags and closed swags. My main experience until now has been with closed swags. I plan on making some open swags in the near future and will report on how that goes. For now, I’m discussing closed swags. So, the width of the swag is probably given by the width of the window and the depth is often chosen because it looks “right.” That gives us the silhouette of the swag. Next, you have to figure out how many pleats you want and the size of the “picture.” The picture is the moon-shaped part of the fabric in the center top part of the swag. 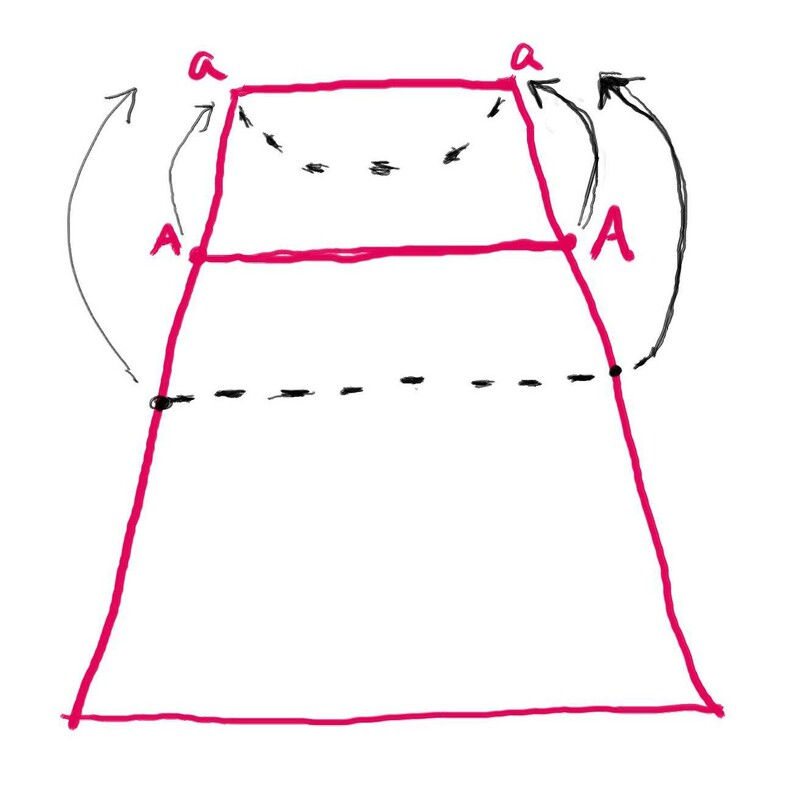 If you’re using a print fabric, it is important to consider what part of the print will appear in this area. 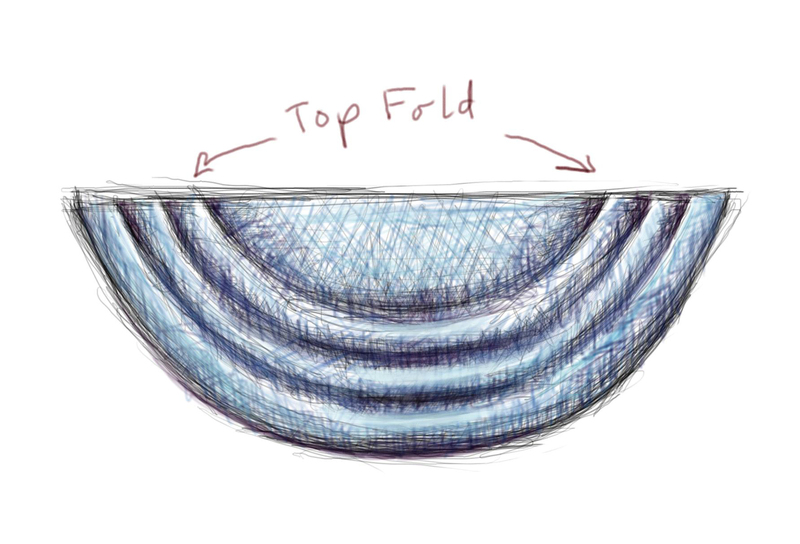 Once you determine the size and shape of the picture, you can use the tape measure technique to find the length of the curve created by this fold. This will be the width of the fabric at this point. 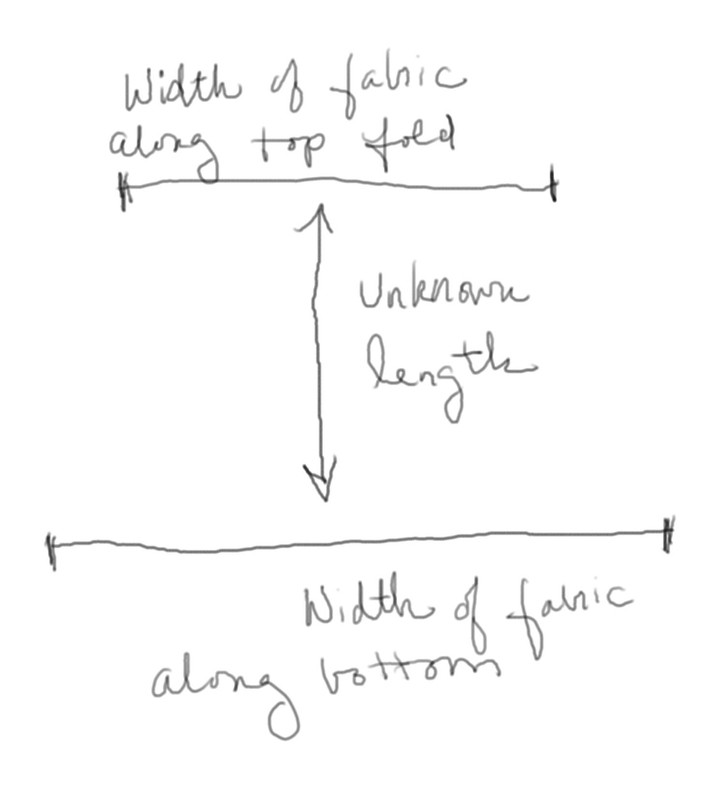 Now, you have two widths, the width of the fabric at the bottom and the width of the fabric along the top fold. (We still haven’t allowed for hems or overlaps, so don’t get too excited yet. We still have lots of figuring to do. 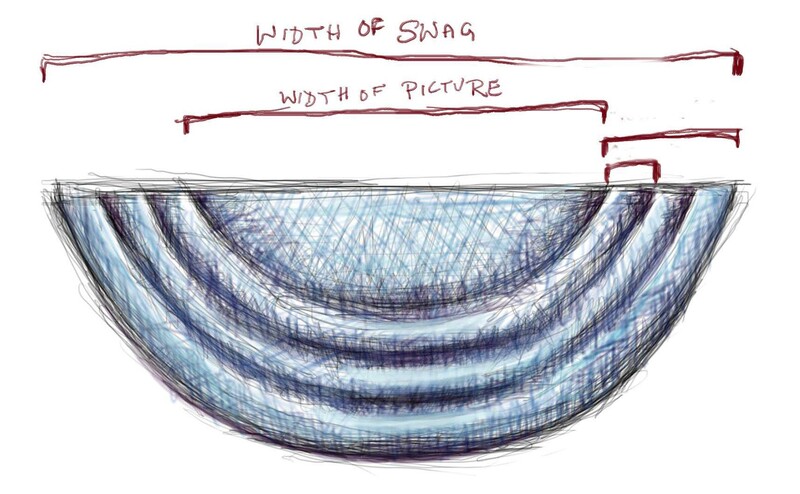 Now, let’s think about how the swag would look in cross-section. otherwise, the math is easy enough. Half the difference of the length of the top fold and the bottom, that’s the length of segment DE. 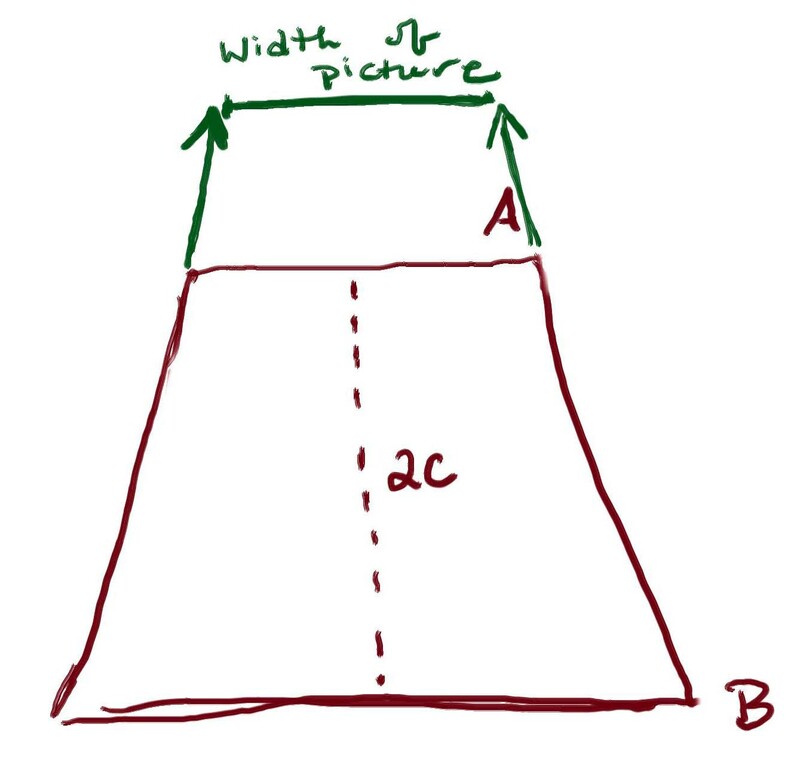 Half the difference of the width of the picture and the length of the top fold is the length of segment HF. 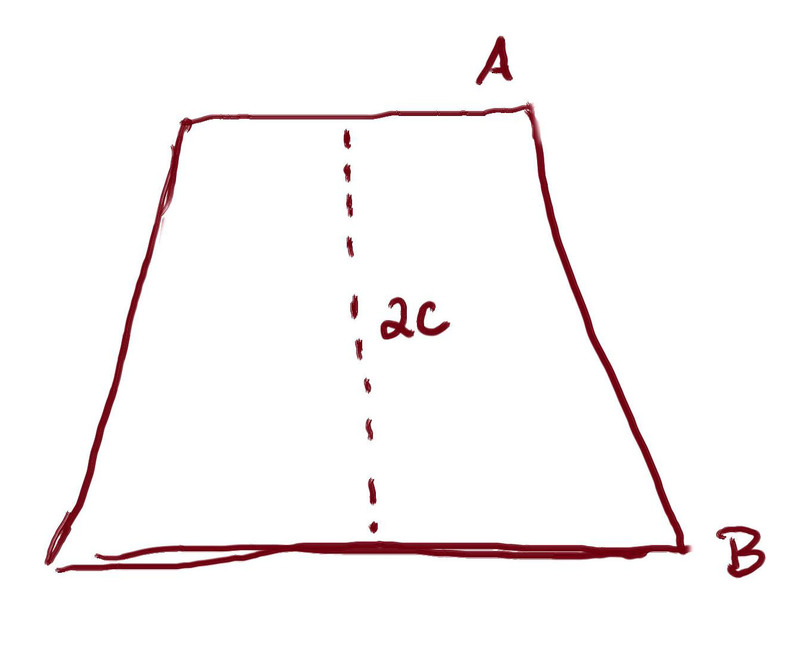 So, now we have a parallelogram. The next thing we need to take into account are the overlaps. Take the width of the swag and subtract the width of the picture. 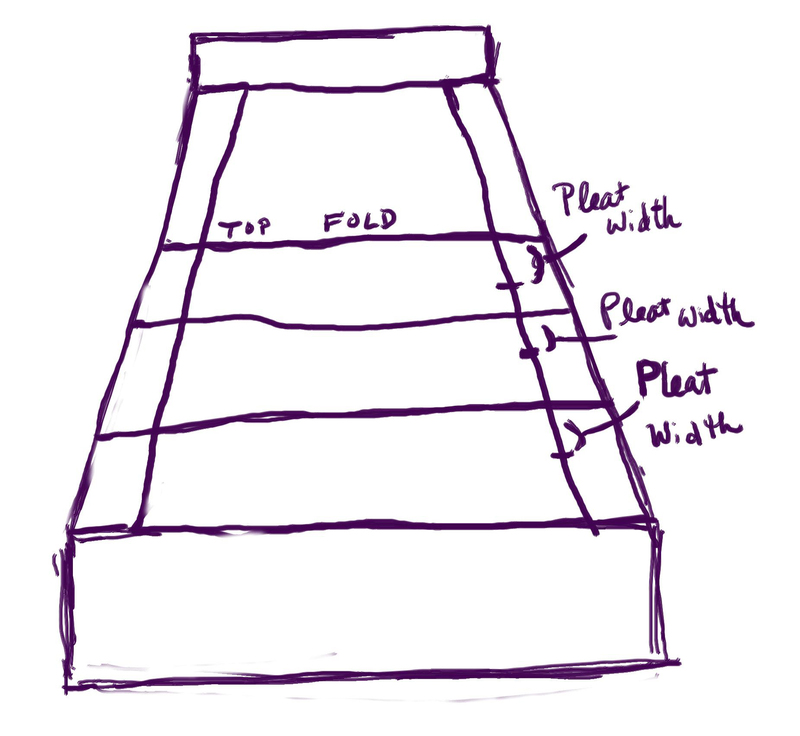 Divide by two to get the width of all the pleats. 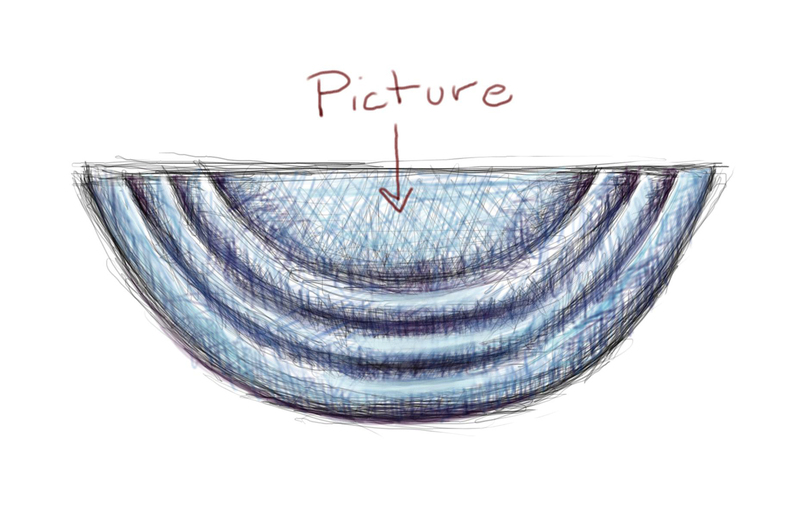 Divide by the number of pleats to get the width of one pleat. 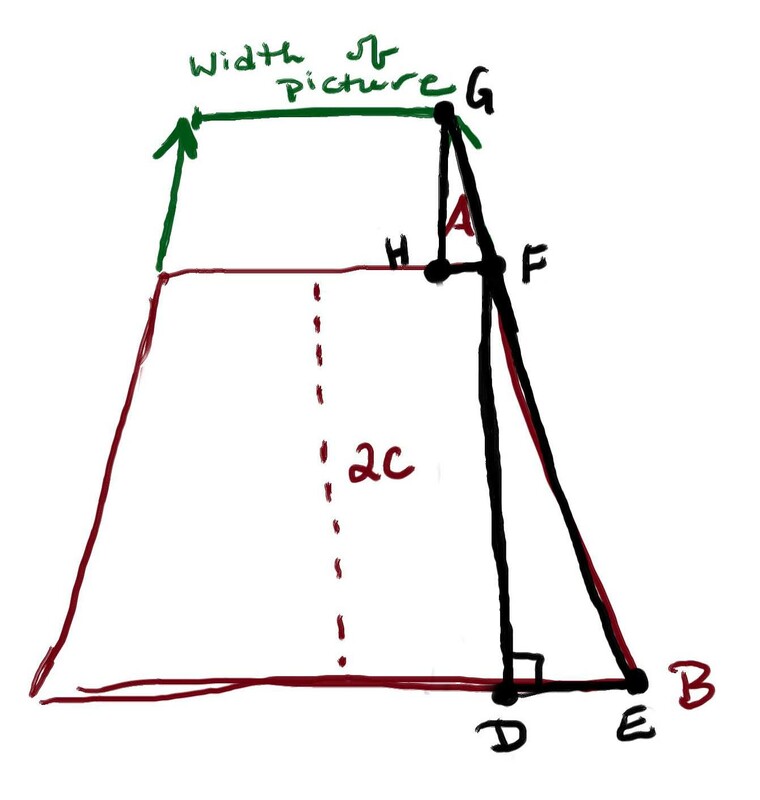 Divide the length between the line indicating the top fold and the bottom by the number of folds. Don’t forget to include an allowance for the hem. And this is how I make a swag. That’s what my sister did! If I read this before we actually made them I think I would need to get a tutor 🙂 thankfully you have the higher math skills!!! They turned out great! It didn’t actually require any higher math. That’s just how I worked it out in my head. It’s more like a stream of consciousness rather than a set of directions. I’d probably have to tidy it up before anyone could follow it easily.